Huludao is a large Chinese town on the bay of Liaodong in Liaoning. 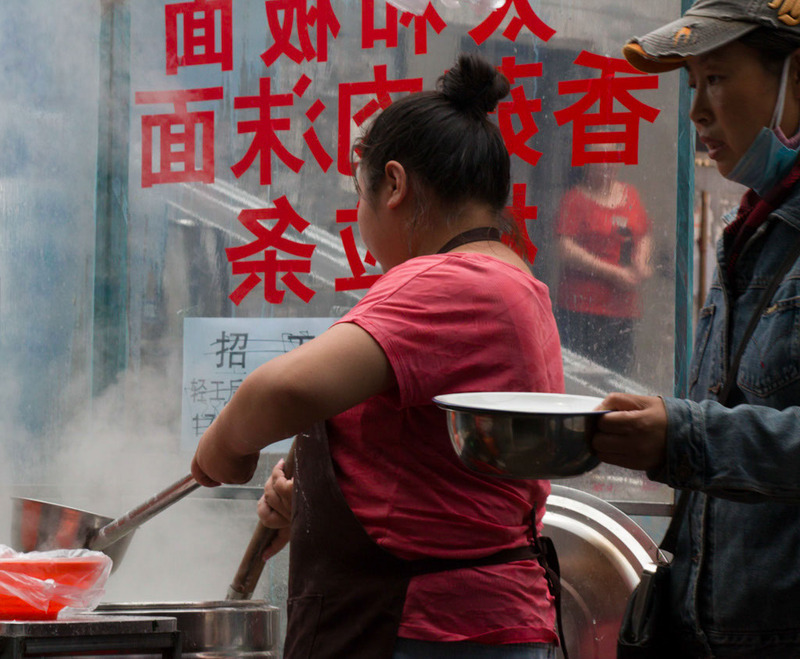 By Chinese standards, not that many tourists come this way, but it has a friendly and laid back character which makes it a nice place to stop for a weekend. 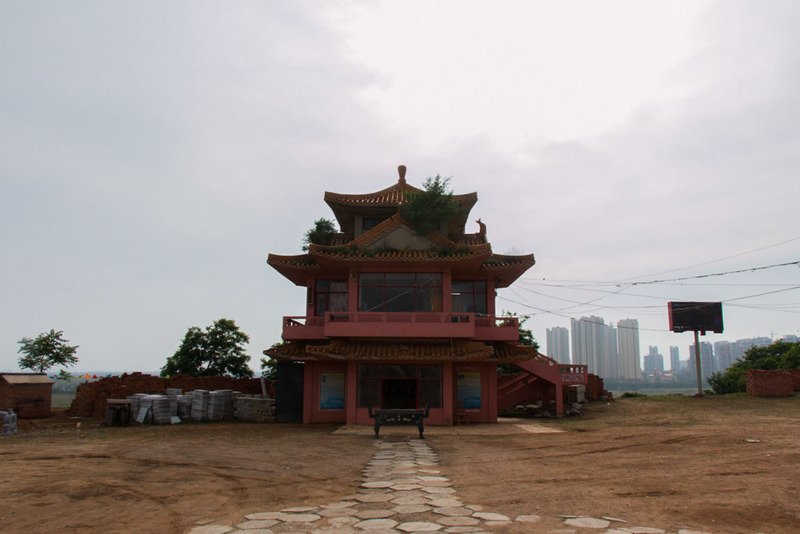 The main tourist attraction is its beach area, which seems to be undergoing both heavy development and serious neglect at the same time. 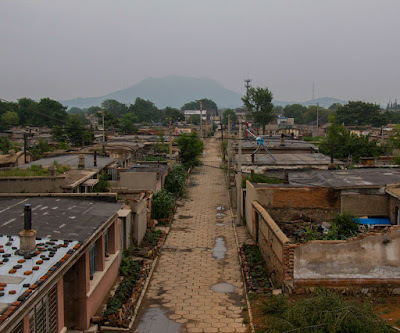 Its other attraction is Xingcheng Gucheng (兴城古城）, in Xingcheng (兴城), a Qing dynasty walled city which is on the far southern edge of the city. Due to Chinese town planning, the city of Xingcheng is considered an independent city and at the same time considered part of Huludao! The train station is quite far out of town, so you'll have to get a bus or taxi. 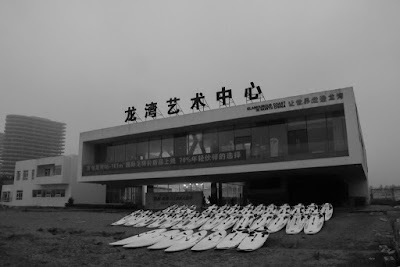 The town of Huludao is not touristy, so finding a hotel there was hard. Totally possible though! If you're worried about accommodation, then go to the beach area where there are plenty of places to stay. 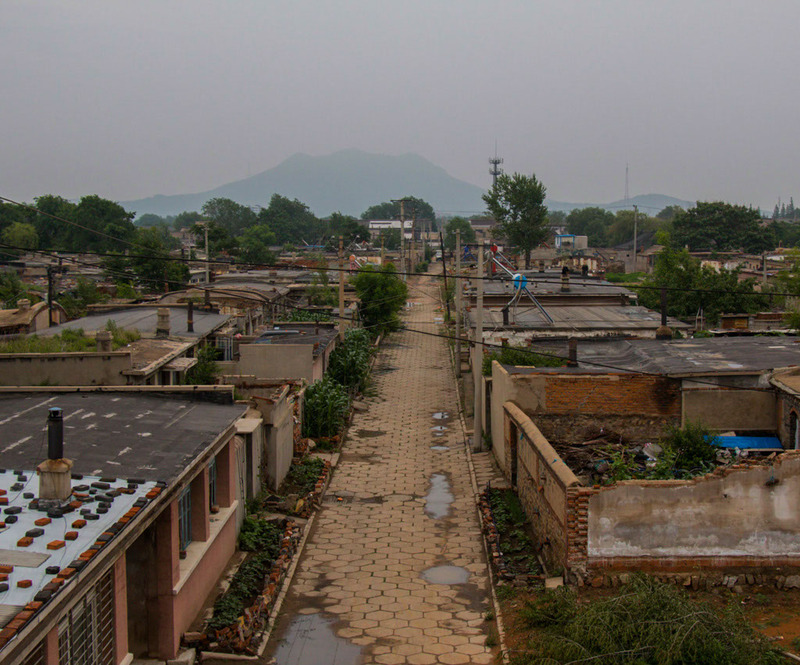 Alternatively, get a bus directly to Xingcheng, which is far more touristy and you'll have no trouble finding a place to stay. Huludao is on the main Beijing to Harbin train line, so its easy to get to on the fastest trains. With a little bit of knowledge of Chinese, the buses are a breeze to catch. However, in order to get to Xingcheng, its quite a journey. There are numerous city buses and independent minibuses that run frequently between the two places. Obviously minibuses are more pricey at 4-5RMB depending on where you get on and off. City buses are 2RMB. If you look at a map of Huludao you'll notice that its in a very protected bay. The Qing dynasty who built the walled cities along this coast knew this, and the modern Chinese know this too. A lot of the coast is owned by the navy and you can't get to everywhere you would like, but the main beach begins at the end of Binhaigonglu-road (滨海公路) and continues south until Longhuitou viewpoint (龙回头海景). All the usual Chinese amusements and foods are available at this beach including canoeing, seafood restaurants, sunloungers etc. I was there in the spring, and the entire area was deserted, however I suspect that during summer weekends, you will see the crowds associated with Chinese beaches. This area is definitely much more pleasant with its views both inland and out towards the coast. There's a neglected/unfinished dragon sculpture and arch at the top of this mountain and easy to find paths to get there. The mountain isn't high, and once you've reached the top, you just walk along the crest. Towards the south of this area there are seemingly out-of-use navy installations. If you approach them, some friendly marines might accost you and delete your photos! 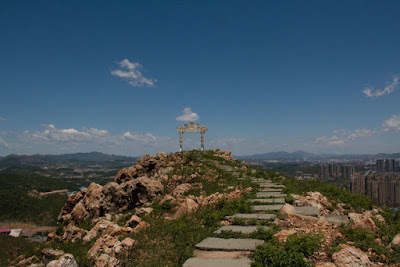 They did this in the kindest and most curious manner possible and simply asked us to head north along the path, away from this part of the mountain. This was by far the most beautiful place in the area. 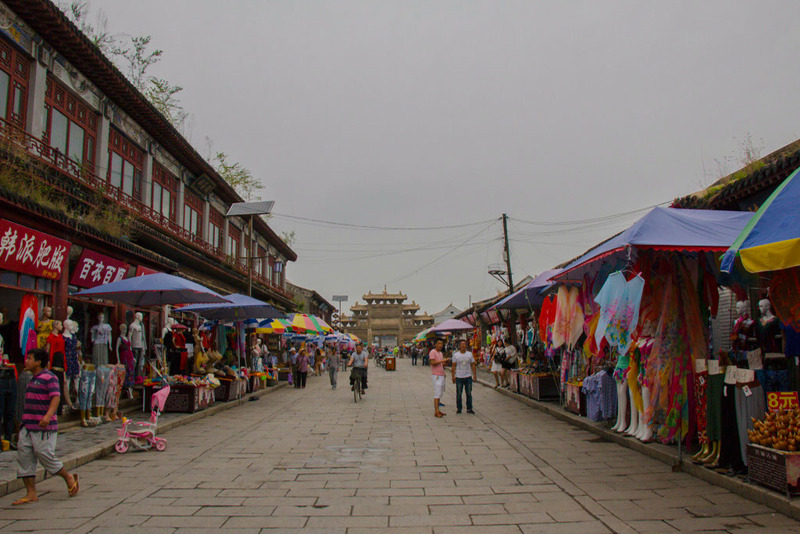 There is something attractive to the walled city of Xingcheng. Its 4 walls have been proudly restored, but inside it has been almost entirely gutted. Apart from a quiet temple in a sad state of disrepair and one or two other semi-restored structures along the main road, the town is in ruins. Workers' houses from the middle of the last century, built on the rubble of the historical city, are themselves turning to rubble as their residents have long left for more modern accommodation outside the walls. Despite this odd state of affairs, its still worth a visit, and you can pay a small fee to go up on to the walls or buy tourist tat on the restored main road. 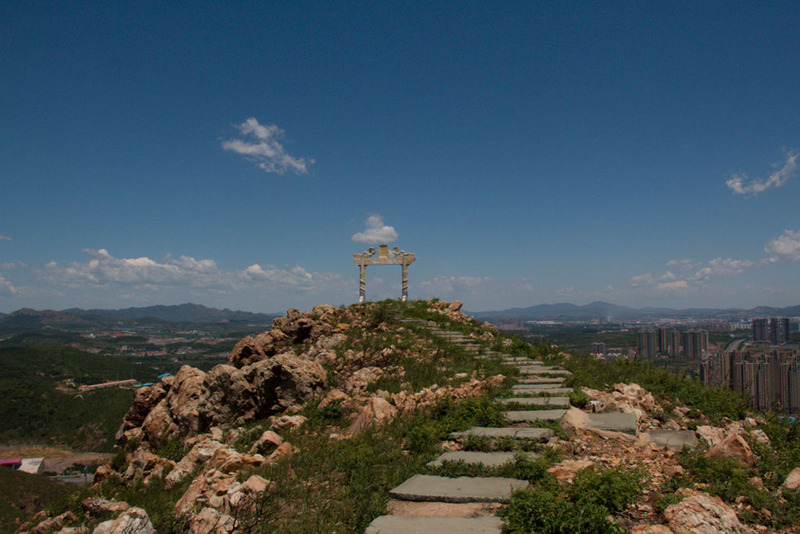 On the coast, a long walk or short busride from the walled city of Xingcheng, is a more developed tourist area. There are modern hotels, the usual amusements and seafood restaurants, and perhaps the most interesting thing, a coastal walk that takes you along small cliffs and little beaches. 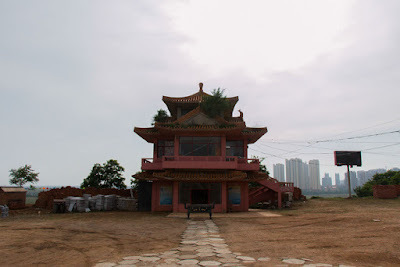 The terminal point of the walk is a completely modernised temple called Donghaisi Mazumiao (东海寺妈祖庙), where you can see female monks. If you keep on walking past the temple, you'll reach a canal with fishing boats. The area around here is clearly earmarked for development so who knows how long it'll be there! Otherwise in Xingcheng the best food, especially noodles, was to be found just outside the Walled City. Taking the south exit, head south, across the main road, follow the road and you'll find yourself in a market area with lots of restaurants.